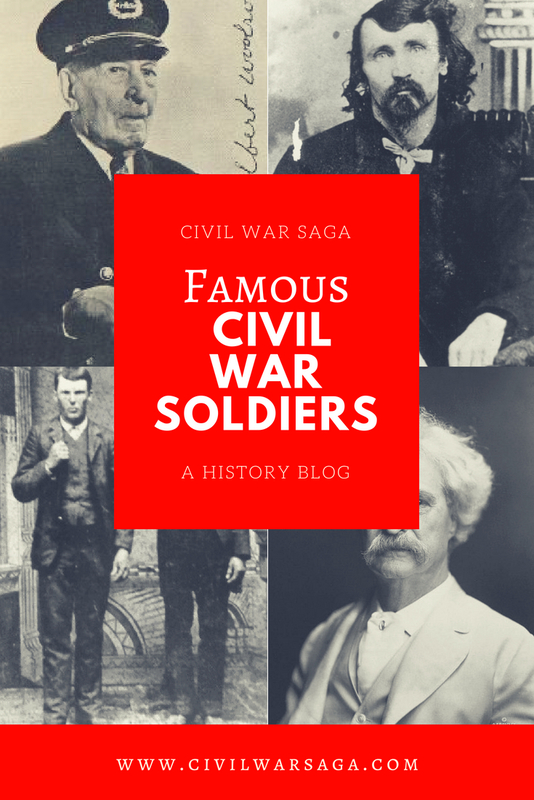 Since so many people fought in the Civil War, it is inevitable that some of them would later go on to become famous, or possibly infamous, in some way either for their actions during the war or after. Long before he became a famous author, Mark Twain served a brief stint as a Confederate soldier in the Civil War. Twain was working as a riverboat pilot in Mississippi when the war broke out. Soon after, he decided to join the Confederate militia but his stint in the military only lasted two weeks before he quit and went out west. He later faced criticism for his role in the war and for deserting but he defended himself by explaining his confusion while enrolling and stated he didn’t fully understand the politics behind the war at the time. Alfred Packer was a former Civil War soldier who later became a prospector and wilderness guide and was accused of cannibalism in 1874. Packer was working as a shoe maker when the Civil War broke out. He decided to join the army in 1862 and was so proud of his new job that he had his encampment, battalion numbers and infantry numbers tattooed on his arm. His stint in the army was short lived though due to his struggle with epilepsy. He was discharged later that year and when he enlisted again six months later, he was discharged again for the same reason. After his second discharge, he drifted from job to job before becoming a prospector and wilderness guide in Colorado in 1873. Packer was accused of cannibalism and murder after one of his groups disappeared during a trip through the Colorado wilderness and their bodies were later discovered on the trail with signs that they had been eaten. He escaped from jail and remained on the run for nine years until he was caught, tried and convicted of murder in 1883. He was eventually pardoned and paroled in 1901. 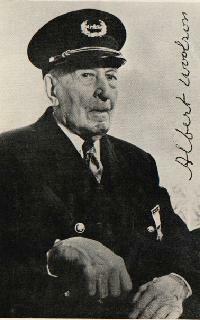 Albert Woolson was a former drummer boy and the last living Civil War veteran when he died in 1956 at the age of 109. Woolson joined the army as a drummer boy in 1864 at age 17. His regiment never saw combat and he was honorably discharged in September of 1865. Woolson later became a member of the Grand Army of the Republic, which was an organization of Civil War veterans, and served as the group’s senior vice commander in chief in 1953. Since Woolson was the last Civil War veteran, the organization was dissolved after he died. 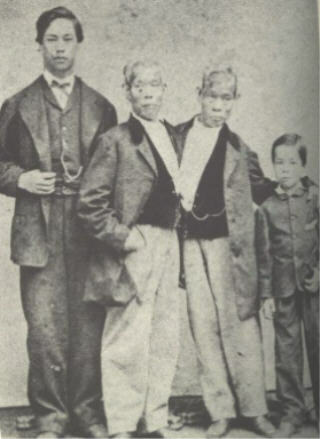 Chang and Eng Bunker were conjoined twins who had made a small fortune working as sideshow performers. The twins were living in North Carolina, where they ran a plantation, when the war broke out. In 1865, the twins were shocked to find out that Eng had been drafted by the Union army, who had recently raided the area and taken it over. The Union army had placed all the names of the local male residents into a lottery wheel and chosen them at random, which is how they selected Eng’s name. Since Eng was selected but not Chang, and the twins could not be physically separated, there wasn’t much the Union army could do about it so they decided against recruiting Eng. Even though the twins never officially served in the army, both of their eldest sons joined and fought for the Confederates. Three of Paul Revere’s grandsons, Paul Joseph Revere, Joseph Warren Revere and Edward Hutchinson Revere, served as soldiers for the Union army in the Civil War. Paul Joseph Revere and Edward Hutchinson Revere served in a Massachusetts regiment while Joseph Warren Revere served in a New Jersey regiment. 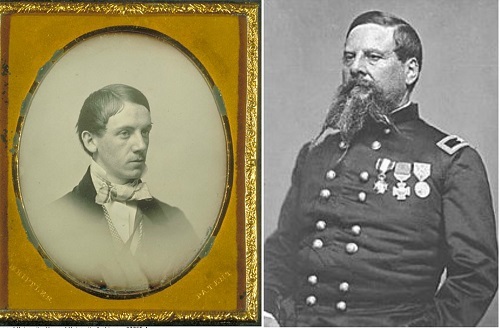 Both Paul and Edward were captured at the Battle of Ball’s Bluff and held as POWs in Richmond before being exchanged for Confederate prisoners. Paul and Edward went on to fight at the Battle of Antietam where Paul was wounded and Edward was killed. Paul then went on to fight in the Battle of Gettysburg where he was killed. Joseph was the only Revere grandson to survive the war but he was court martialed and allowed to resign instead of being dismissed. You left out Simon Bolivar Blucker, whose son would be a General (Jr.) in World War 2 and died with newspaper columnist Ernie Pyle on Okinawa from a Japanese bombardment. Bull Halsey’s Grandfather was in a New Jersey unit, George Paton’s grandfather lead the 54th Virginia at the Battle of New Market, and Chester Pullers grandmother froze to death when the Yankees burned down her house because her son was in Southern cavalry and he had left a spur on the wall in a room. So on a cold December night they burned down her house. General McAuther of the Pacific War in WWII had a grandfather who fought Pullers unit in the war, and in the war get to Congressional Medals of Honor. One was taken back, because they were given when a flag was captured, and many times the men just went out and picked it up. They had killed all the flag barriers.